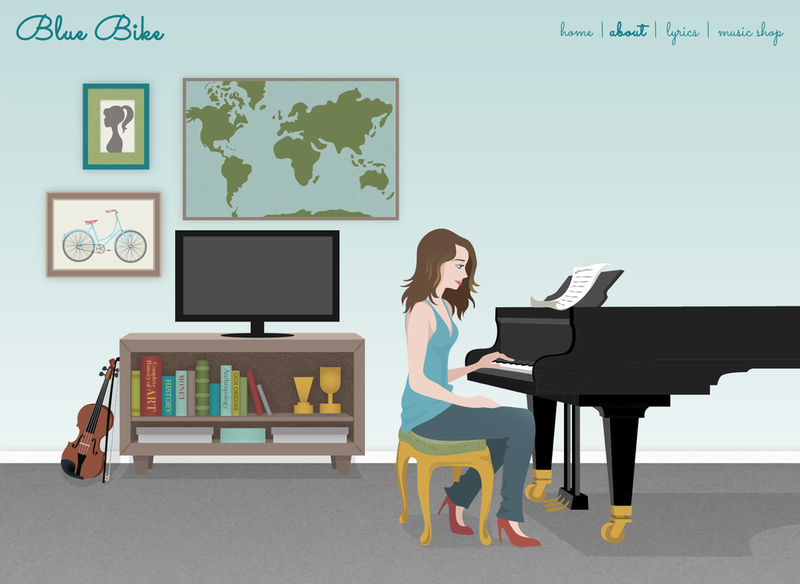 This project resulted in an illustrative and interactive website that revolved around Michelle Featherstone’s album Blue Bike. Moving a cursor around the various scenes within the site reveals hidden content and animations. The video included here best shows the functionality of the website, though I have included still images of the main pages as well for those unable to view the video.